Lenna of Hobart is conveniently located on the doorstep of Salamanca Place, giving guests at the heritage hotel easy access to Salamanca Market. 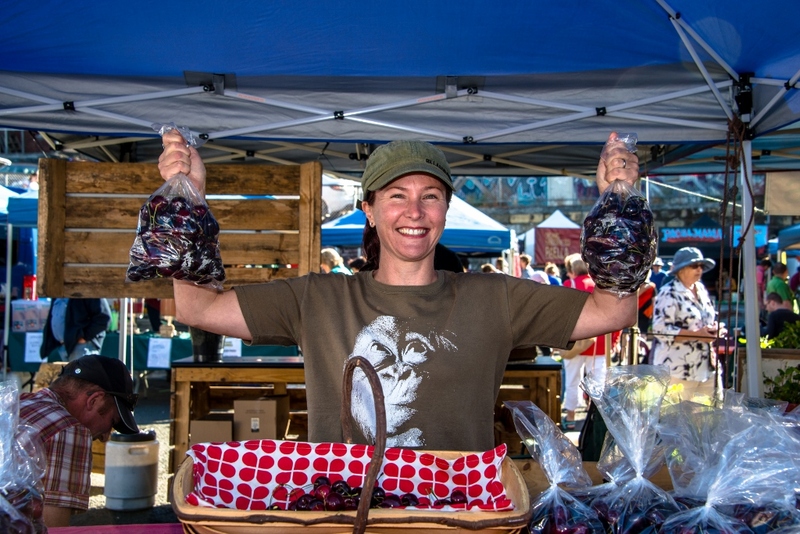 This market is held every Saturday and is one of Tasmania’s major tourist attractions. Another appealing attraction near the Hobart waterfront is Farm Gate Market which is held each Sunday on Bathurst Street. With its fresh seasonal produce and artisan products, Farm Gate Market is a treasure trove for serious foodies. In fact, there’s something so quintessentially Tasmanian about Farm Gate Market that every visitor should experience it. Tasmania has many small producers who were attracted to the Apple Isle by the fresh air, relaxed lifestyle and sustainable living. Farm Gate Market provides a venue for them sell their produce and goods. The philosophy behind the market when it was established seven years ago was that if you can’t eat, drink or grow it, it or meet the person who produced it, it won’t be sold at the market. This philosophy has stood the market in good stead, helping it to grow from just 12 stallholders into one of Australia’s top farmer’s markets. You can pick up everything at Farm Gate Market from free-range eggs, cool climate wines, olive oil, mustards and cheese to venison, terrine, fresh oysters, hand blended tea and much, much more. Due to Tasmania’s varied growing seasons, the array of produce available is ever-changing. The trestle tables that fill the closed-off city block are groaning beneath the weight of these treasures when the market opens for business at 8.30am. In keeping with the spirit of the market, a farm bell marks the start of the trading day. It opens every Sunday, regardless of the weather, so you don’t have to worry about missing out. You can wander around, just taking in the dazzling array of food and products on offer, and watch people strolling by with baskets bursting with fresh vegies, fruit and flowers. You may want to sit down for a while and enjoy some locally roasted coffee with a sourdough donut. If you decide to eat lunch at the market, there are wood-fired pizzas, artisan breads and sizzling octopus tentacles on offer. Laksa is also available as well as wallaby burritos. Quality food is obviously the main reason people flock to Farm Gate Market, but there are also street performers and buskers to provide entertainment and create a festival-like atmosphere. Every Sunday the closed-off block is filled with music and contented visitors. It’s a great place for families to spend the day, or for meeting up with friends.